When a lone soldier, Cole, arrives with news of Lachlan Agatta's death, all hope seems lost for Catarina. Her father was the world's leading geneticist, and humanity's best hope of beating a devastating virus. Then, hidden beneath Cole's genehacked enhancements she finds a message of hope. 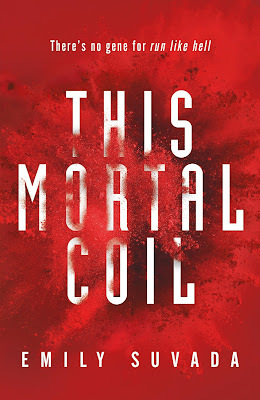 This Mortal Coil is an intelligent, captivating and atmospheric science fiction dystopian. Absolutely phenomenal. Yasssss I've had a need for another good dystopian for so long. This might just fill my needs! It's absolutely incredible, I can't wait to see what you think of it! This sounds amazing. Completely up my alley too. Going to add this to GR right now! Thanks! I love science fiction fusion and it's absolutely captivating Rebecca. I hope you enjoy it too! 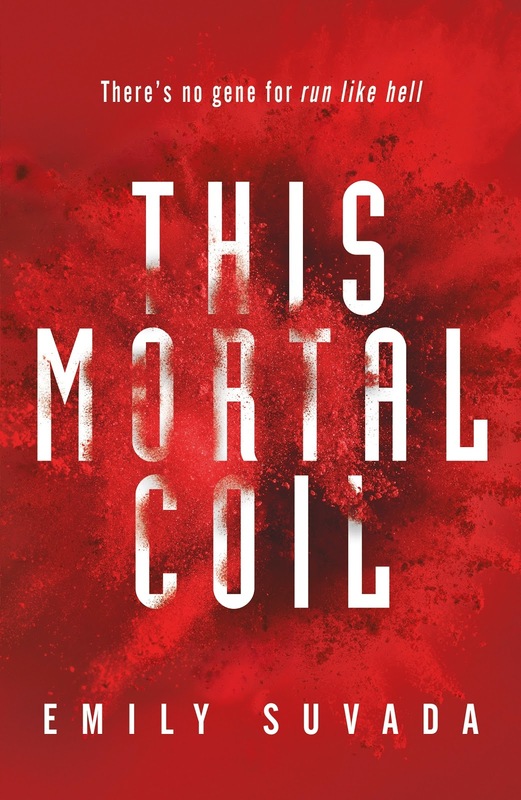 Man, I have heard sooo many awesome things about This Mortal Coil. I need to purchase a copy ASAP. You certainly do Sarah, it's brilliant and intelligent young adult. Knocked my socks off. OMG I'M SO GLAD YOU LOVE TMC!!!!! ❤❤❤❤❤❤❤❤❤❤❤ I can't wait for the sequel! Me either Haniya. I knew I'd love it after reading your review, it definitely didn't disappoint. Ooh, I can't wait to see what you think of it Lily. It was phenomenal. I am starting to hear more and more good things about this book. I have a copy, but have not read it yet, but I think it may be worth a look. I keep hearing about these twists, and I want to know more. Great review. It takes quite a bit to surprise me usually bit it was incredible Sam, it's one of my favourite reads of the year. Looking forward to seeing your thoughts. Haven't read dystopia like forever. And it sounds like a good first book in a series. I'll definitely check this one out. Awesome review! Same Vanessa, there's not too many around anymore and it's my favourite genre too. I can't even begin to describe how incredible it is, definitely grab a copy! I was sort of on the fence about reading this one but several of my blogger friends have loved it. Definitely worth the read Karen, I think you'll love this one too. Would love to see what you think of it. Surprised eyebrow for days huh? I am impressed -- and I am not the biggest fans of these sorts of dystopian stories, I must admit. Gene manipulation, especially, is becoming a bigger topic these days. It's controversial especially within religious groups I feel Verushka. I'm hoping the next instalment explores themes of morality and science verses religion. It's such an epic read, absolutely loved it. Is it weird I'm intrigued by the 'science' in this one? Because I totally am. I haven't read a dystopia in a long, long time, but I might just...need to read this one. Hmm. The scientific elements was what originally intrigued me too, a future of gene manipulation and hacking. It's so incredibly detailed but without overwhelming readers. I think this could be the perfect read for intelligent, curious minds like yours. The science and nanotechnology set this apart from other dystopians for me and I was so thankful it was easy to follow. Usually hard science elements go straight over my head. There were the usual tropes in there too which I didn't mind at all actually, that's how you know its true love. Do you think you'll continue with the series? You know, I kept seeing this cover about and thought I wouldn't like the book but now I've read your review I'm making grabby hands at my computer screen. This sounds awesome! I love when a book keeps surprising you with the plot twists as well. I wasn't going to try and read this one but I am definitely adding to my growing TBR and I'm making sure it's high up there as well. Great review. I just seen on your blog that you've bought it and I'm so stoked! I can't wait for you to read it so we can chat about those twists! Reading reviews about good YA sci-fi makes me feel so happy. I would love to read this one! Mahima darling, it's been ages! I love science fiction too set within dystopian worlds. The viral apocalypse is brilliant, would love to see what you think of it. I am so in love with this book and I'm glad it was a pleasant hidden gem! I can't believe I haven't heard more raves about it, how well was the world built and the science stuff was explained really well too. Lovely review Kelly! I was stoked to see how much you loved it too Jeann, wasn't it magnificent! Even the romance which I normally wouldn't have enjoyed, loved that too! Just in love with the whole book really and can't wait to see your review! Sounds like a very intelligent book, and I do really love a good plot twist or surprise!! Thanks for sharing. This is one I don't believe I'd heard of before. It's magnificent Lauren, one of my favourite reads of the year. Yay so glad you loved this Kelly! This has NOT been on my radar for some unknown reason, though the plot is something I'm highly interested in. Also glad to see that the science is not extremely over the top. It's really easy to follow surprisingly, usually the science fiction elements go over my head. It's absolutely brilliant, I can't wait to see what you think of it! I've been hearing a lot of good things about this book, and I have to say that your review definitely piqued my interest even more! I read an interview from the author not that long ago, and I really enjoyed their answers. And they're Aussie, too! It looks like I will have to grab a copy of this one - I've never heard of anything like it. Plus I love the name Cole so if he turns out to be a love interest then extra bonus points, haha. Lovely review, Kel!